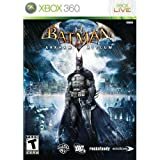 Do you own Batman Arkham Asylum? Add it to your library by logging into GameNomad account. Not a member? Joining is free and only takes a moment! Register now!